Designers of premium contemporary kitchens, the team at Halcyon Interiors has over 30 years" experience in creating stunning, bespoke spaces that are uniquely matched to the needs of your home. Since 1981, the family-run company has been bringing exceptional style into homes across West London and Buckinghamshire, becoming recognised as a premier source of contemporary kitchens in the UK. Specialising in sleek, minimalist design, their showrooms in Hatch End and Beaconsfield demonstrate their versatile range of German kitchens. Whether you are inspired by the warm, rugged textures of grey modern kitchens or the flawless sophistication of white gloss kitchens, the expert design team will turn your dream into a reality. You can also visit their branch on Wigmore Street, West London, to experience their collection of signature designs from the respected ALNO kitchens range. 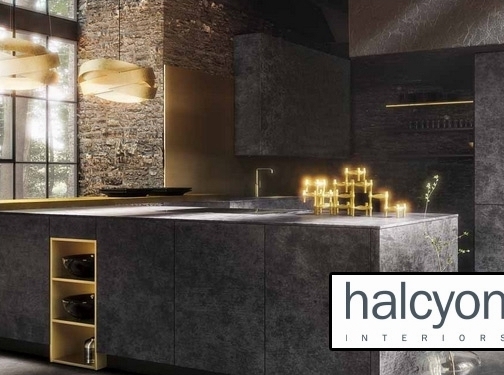 If you are looking for a professional, experienced team to design and install a contemporary kitchen that will transform your home, Halcyon Interiors is the answer. Visit the website to find out more information about their design, installation and aftercare services, or visit one of their showrooms to see their beautiful kitchens in person. UK (London and Middlesex) based business - established in 1981 - providing kitchen design/installation services. Website includes details of services provided, "meet the team" page, work examples, accreditations, details of business premises, blog, full contact details.